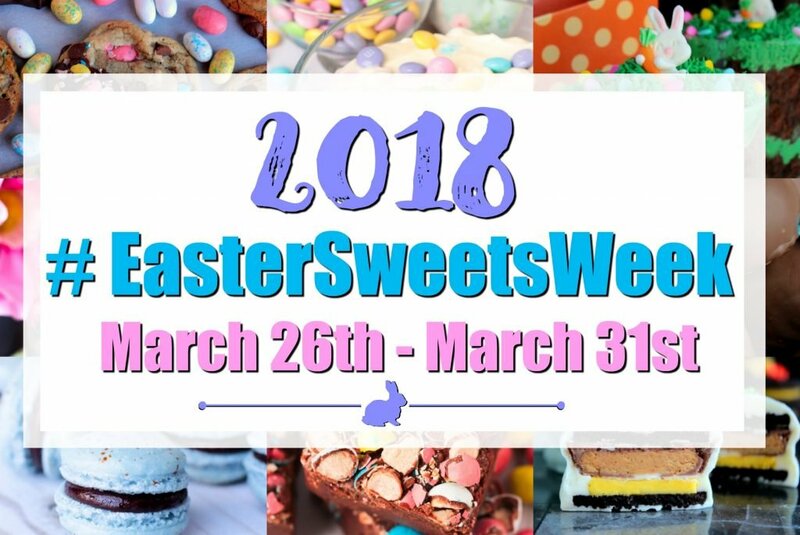 Disclosure: This post and recipe was created for #EasterSweetsWeek. I was sent samples by some of the sponsor companies. As always, opinions, photos and recipe are 100% my own. 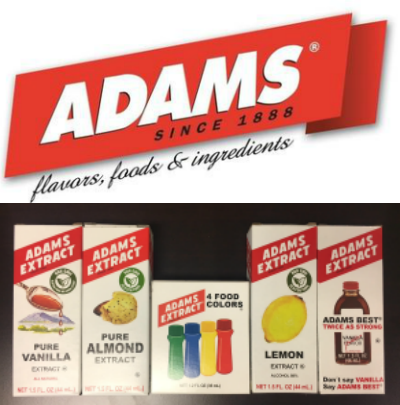 Growing up, Easter always consisted of a large Easter ham dinner and all the fixings. Potatoes, bread, salads, vegetables, and for dessert it was always pie! 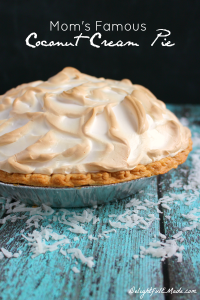 Mom’s famous Coconut Cream Pie was always on the table, as well as some other classics. 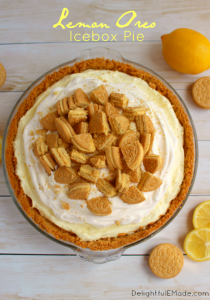 Additionally, a creamy no-bake pie, was always a perfect addition. 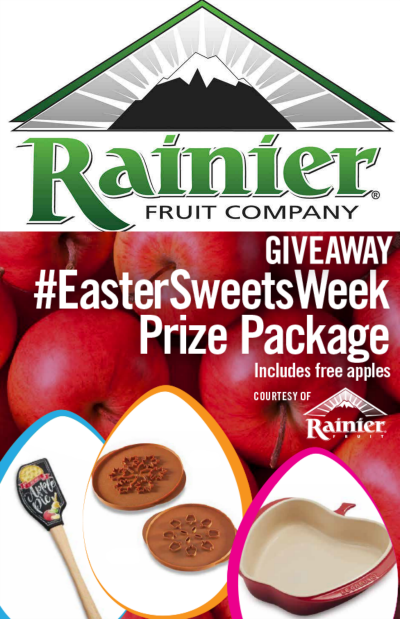 Cool, creamy and the perfect compliment to the Easter feast. 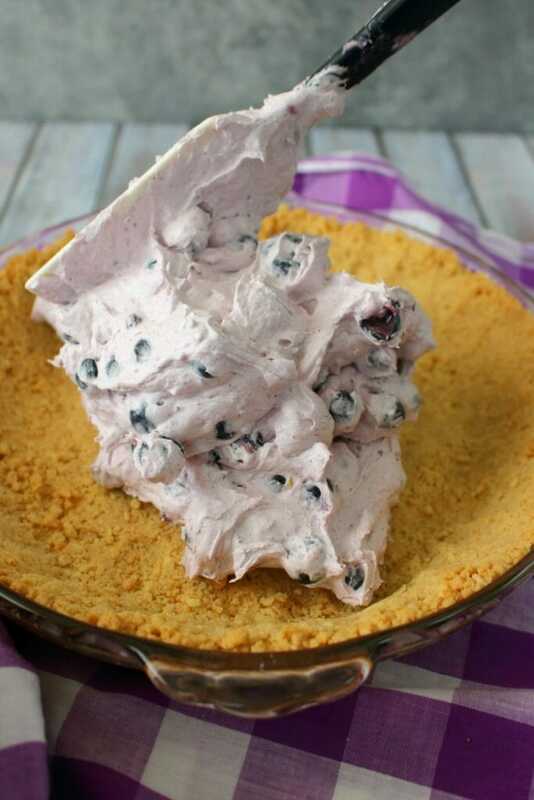 This Cream Blueberry Pie would be the perfect addition to my family Easter dinner. 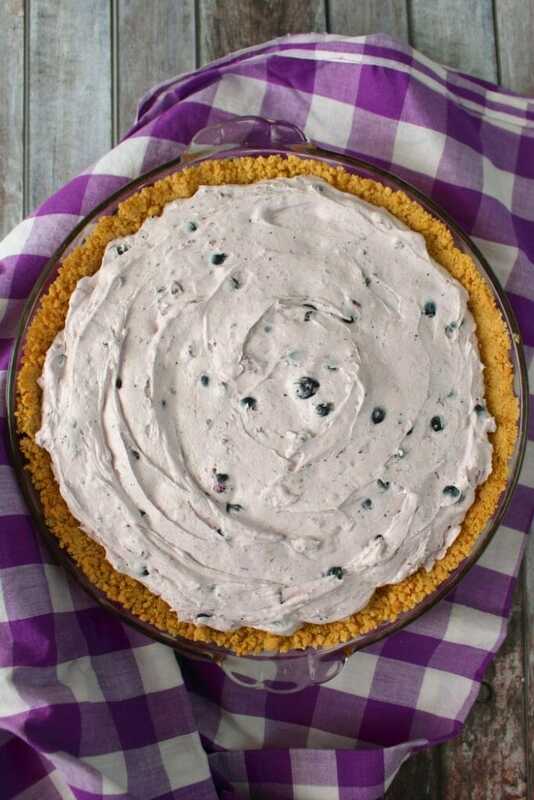 This delicious blueberry pie with a creamy no-bake filling is the perfect dessert for spring. 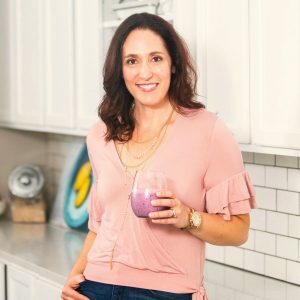 Also, fantastic for Mother’s Day brunch, or any summer pot-luck or picnic dessert, this simple blueberry dessert will become everyone’s new favorite sweet treat. 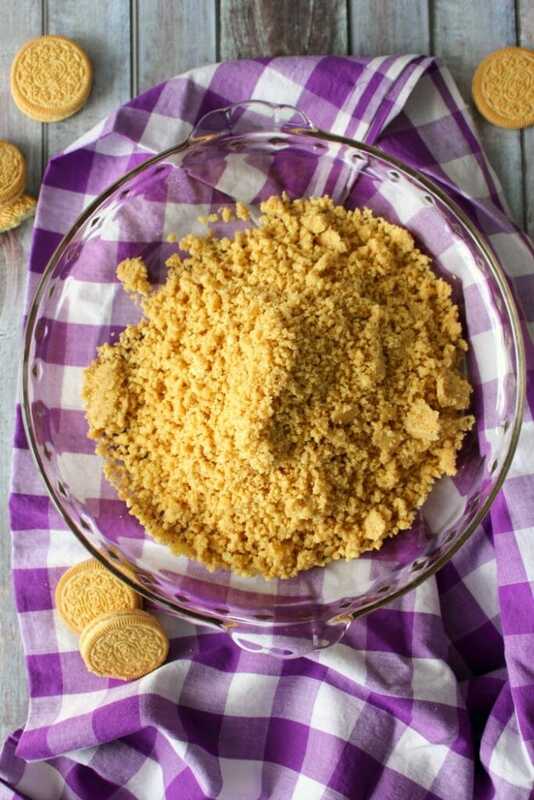 You’ll start by crushing Golden OREO’s in a food processor. Any vanilla sandwich cookie will work. If you love a yummy lemon flavor, try subbing Lemon OREO’s. 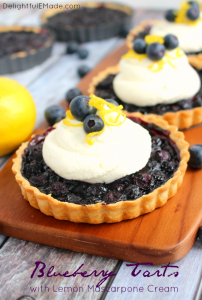 The lemon flavor will go wonderfully with creamy blueberry filling. Once the cookies are crushed, add in the butter and pulse a few more times. The crumbs will resemble gravel. Pour the crumbs out into a 9″ pie plate, and firmly press into the bottom and sides. Optional Step: To create a more firm crust, I like to bake it (crust only) for about 7-9 minutes in a 350 degree oven. This helps the crust stay more firm, and will hold together well once the pie is sliced. If it’s summer and you would rather not heat up your house by turning on the oven, feel free to skip this step. 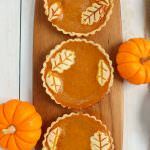 Instead of baking the crust, simply refrigerate it once you’ve pressed the cookie crumbs into the pie plate. 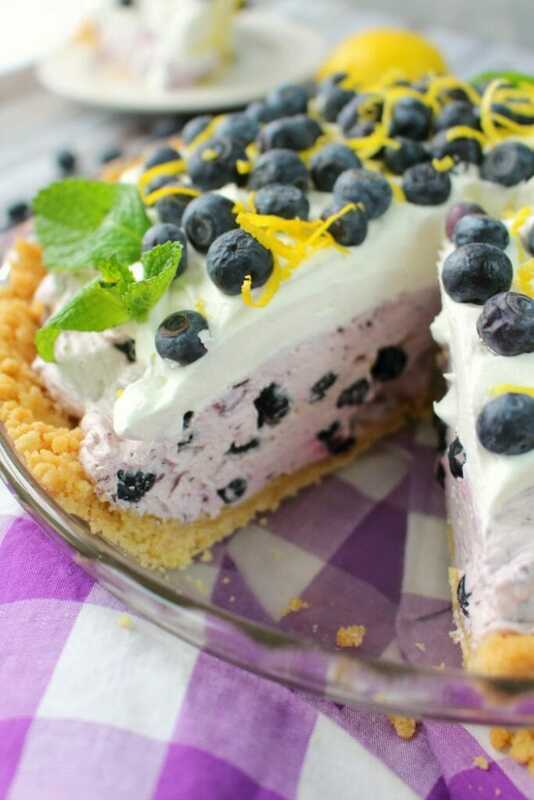 The creamy, delicious blueberry filling is the highlight of this pie. The base of the filling starts with cream cheese, and Dixie Crystals Granulated Sugar. I really love working with Dixie Crystals, as the quality of their sugar products are unmatched. 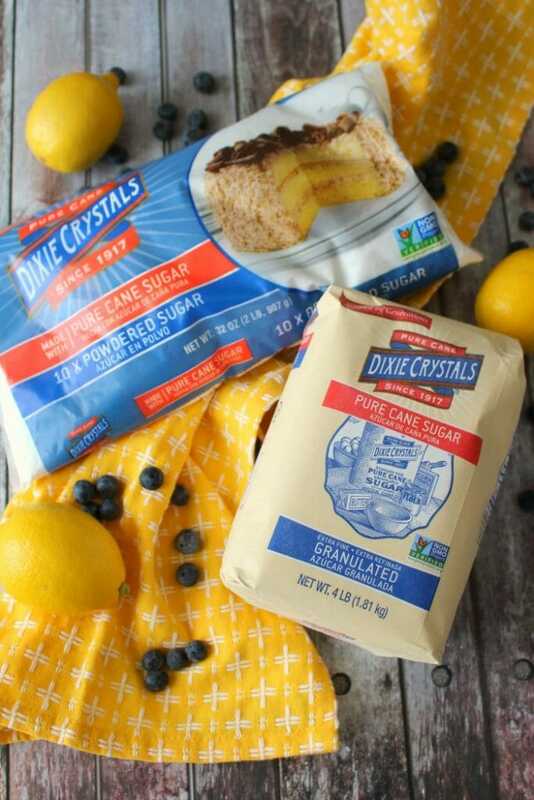 I know I’m making a fantastic dessert when I’m using Dixie Crystals. 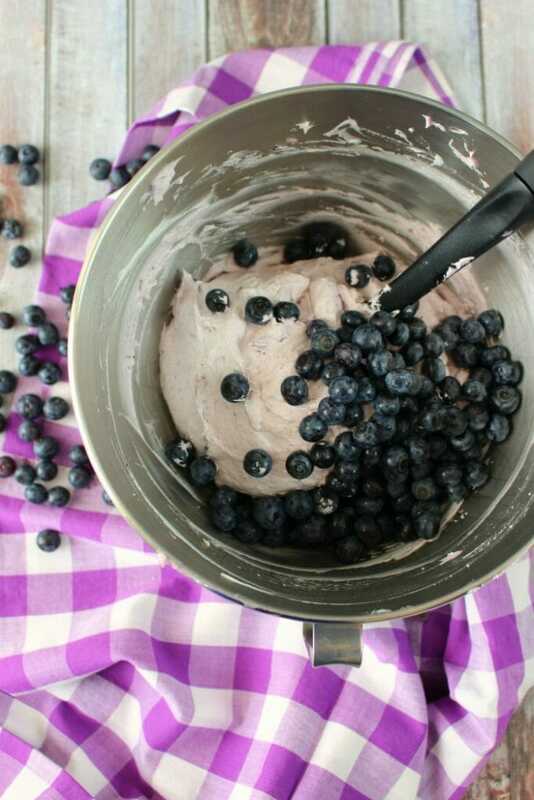 To the creamy filling, you’ll also add in fresh blueberries. I would recommend NOT using your mixer to combine the fresh blueberries, as they will tend to break open. Simply fold in the fresh berries to the filling using a rubber scraper. 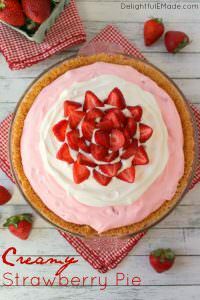 Once you’ve combine the fresh berries to the filling, pour it out into the prepared pie crust. The crust should be cooled to room temperature. Spread the filling evenly to the sides of the crust. 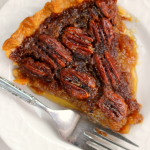 Once the filling is spread, refrigerate the pie for at least 2 hours or overnight. I’ve actually made this dessert up to a couple days in advance of serving. 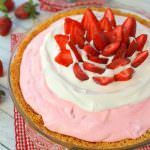 It’s a fantastic make-ahead dessert, perfect for when you’re hosting a party or dinner and don’t have time to make dessert on the day of the dinner. Just before serving, top the pie with the reserved whipped topping. I like to keep a small 1″ perimeter around the crust of the pie so you can see the pretty purple blueberry pie filling. 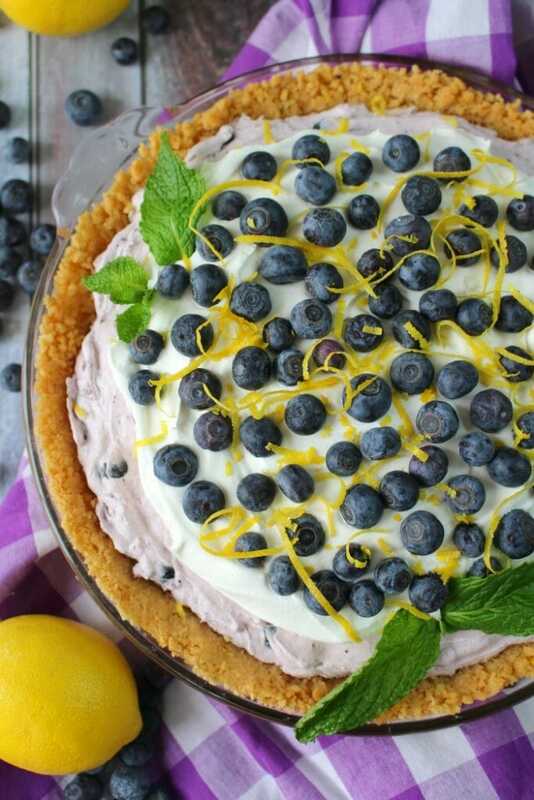 On top of the whipped topping, add in the additional fresh blueberries, and long curls of lemon zest. 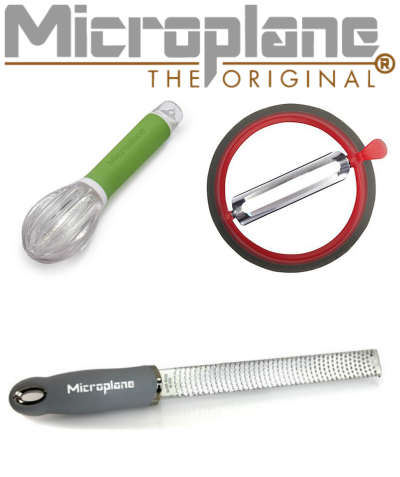 I used this handy Microplane Three-in-One Twist and Zest to create these zest curls. 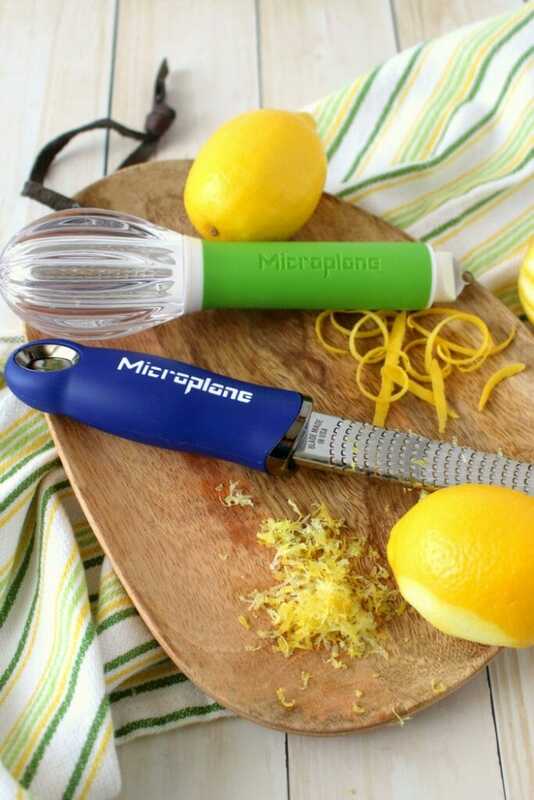 It’s a fantastic tool to have in your kitchen, as it not only makes zest curls, it has a juicer option, as well as a grater. 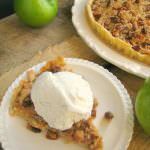 I also added some fresh mint leaves to the pie to give it a little extra spring freshness. 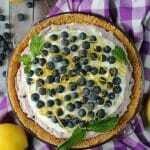 The green color is also a wonderful contrast to the yellow lemon zest and dark blue blueberries. Step 5: Slice and Serve! 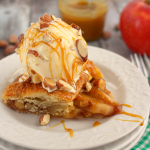 Once you’ve topped the pie with all it’s extra goodies, it’s ready to slice and serve. 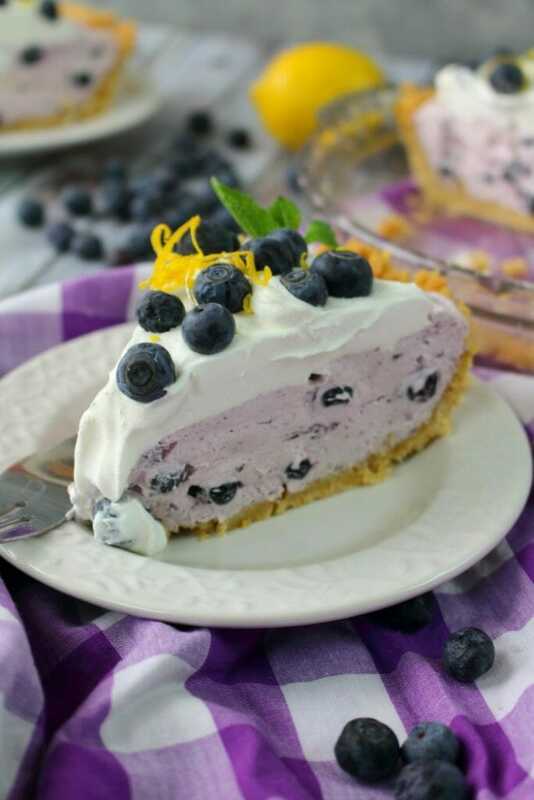 Once you cut into this pie, you’ll immediately see the gorgeous purple color of the blueberry cheesecake filling! Believe me – it tastes just as good as it looks! 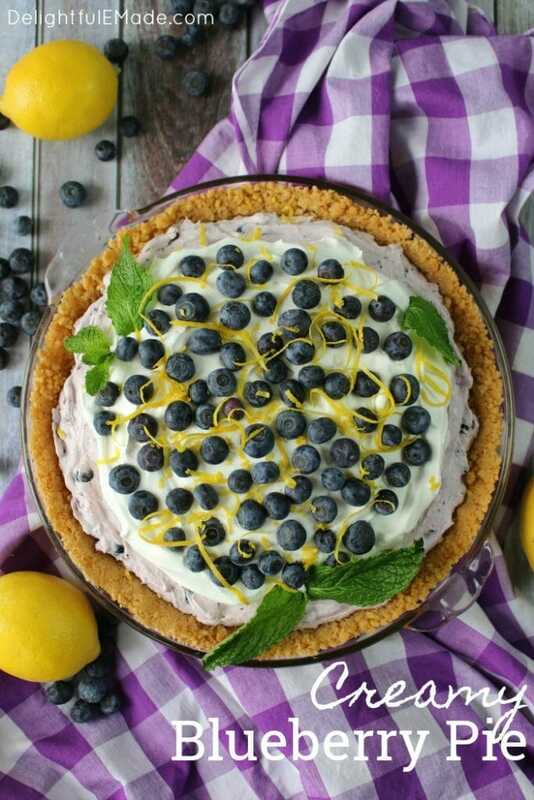 Studded with fresh blueberries, this pie is a show-stopper of a dessert! 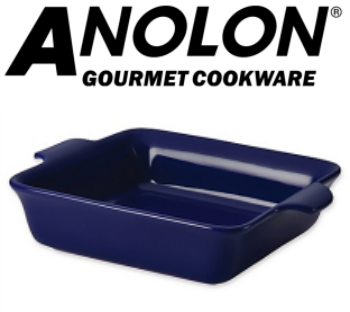 Fabulous for serving for your Easter dinner or brunch, it’s also fantastic for a cookout, potluck or any spring or summer get-together. 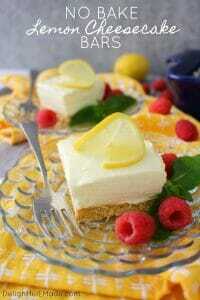 Cool, creamy desserts always hit the spot! Even easier than pie, this Creamy Blueberry Pie is the perfect spring and summer dessert! 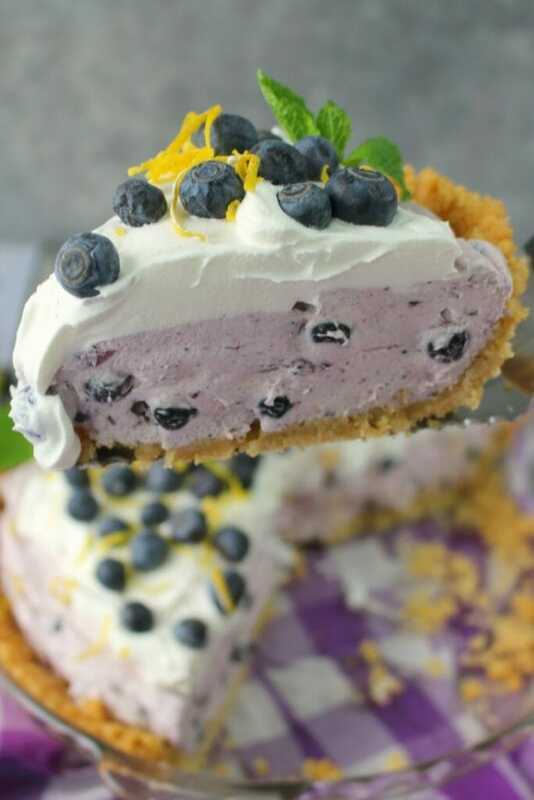 Made with an incredible no-bake creamy blueberry filling, this delicious blueberry dessert is perfect for just about any occasion! In a food processor, crush the OREO's. Stop the processor, and pour in the melted butter to the crumbs. Pulse for 10-15 more seconds to combine the crumbs and butter. Mixture should resemble gravel. Pour crumbs into a 9" pie plate and firmly press into the bottom and sides of the plate. Bake the crust for 7-9 minutes. Remove from oven and let come to room temperature. For the filling: With a hand or stand mixer, cream together the cream cheese and sugar until smooth. Add in the blueberry pie filling and lemon zest, and mix at the lowest speed, just until combined. Stop to scrape down the sides of the bowl. Gradually add in the 8 oz. of whipped topping (half of a 16 oz. container). Fold together until well combined. Fold in the fresh blueberries. Spread the filling into the cooled crust, and refrigerate for at least 2 hours or overnight. 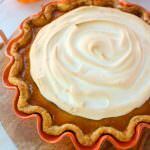 Just before serving, top the pie with the remaining whipped topping. For a garnish, add on additional blueberries and lemon zest curls. Slice and serve. Refrigerate any leftovers. 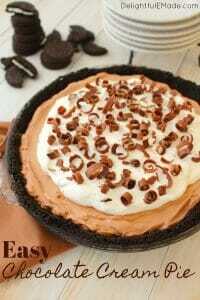 You can make this pie a "no bake dessert" by eliminating baking the crust. 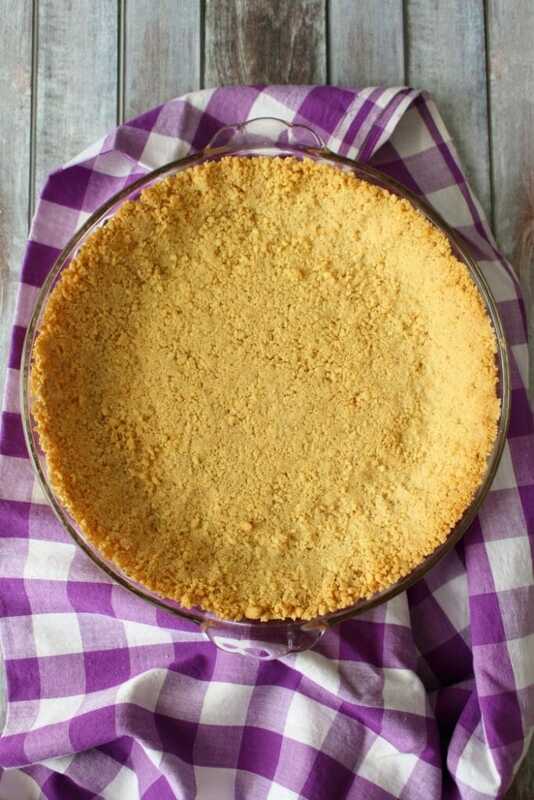 Once you've pressed the crumbs into the bottom and sides of the pie plate, refrigerate the crust to let it set up. I prefer baking the crust, and it helps keep its shape when slicing. Either method is an option. Yum! Blueberry season is just around the corner here! Can't wait to try this! Thanks so much for sharing at FF. It is lovely! Makes me ready for summer! Thank you for sharing at the What's for Dinner Party - hope to see you again this week!